Grey Gardens is expecting visitors! The Assault on the Carolinas ride takes place next weekend and we are excited to have several friends and family members visit to participate in this annual fundraiser for local charities. This won't be the first time we have had guests, but we are using the upcoming event as a prompt to finish several home projects. Needless to say, we've been working almost non-stop and leaving a trail of plaster and paint in our wake. A fresh coat of paint in a room is really exciting. Patching walls, caulking trim, and sifting through the remains of the previous owners creative problem solving, doesn't really bring the same amount of joy to my life. To combat project despair we have discovered that taking a break to make something small for the simple joy of making can provide a much needed sense of accomplishment. Thanks to this discovery, I was the lucky recipient of very awesome and thoughtful gift this week. At Grey Gardens, we watch a lot of woodworking tutorials on YouTube. It's a new thing; part of our general skill building mission. 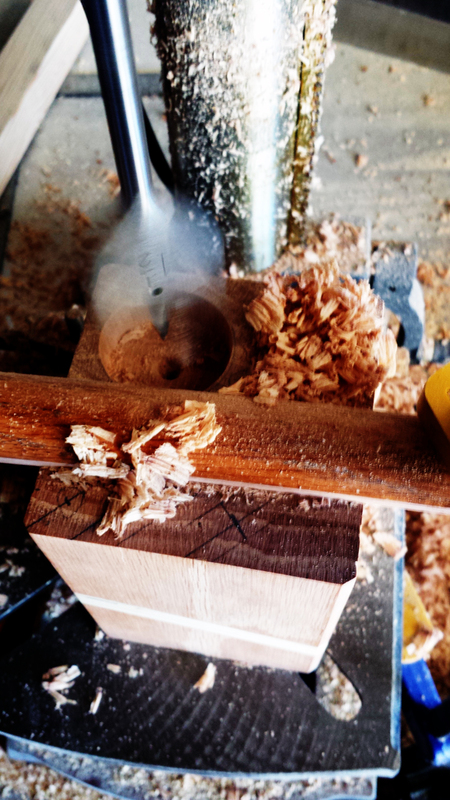 One of our favorite channels and websites is David Picciuto's the Drunken Woodworker. David Picuciuto's philosophy and woodworking practice are particularly inspiring in relation to my own artistic goals and I am quick to identify with the guiding project values captured on the banner of the Drunken Woodworker website : Inspire, Teach, Learn, Share. Plus, watching David on video feels like having a drink and a good conversation with one of my friends. It's so enjoyable to grab my block of supplies as I move around the studio. Before I even begin to draw, I am rewarded by knowing that this beautiful object was handmade just for me (thanks Jimmy!). This appreciation creates a lovely energy and establishes a great base for my work sessions. Custom wooden pencil holder hand built by Jimmy Necessary, 2014. If you are feeling jealous, I know I would be, don't despair because you can learn how to make your own pencil holder by watching this great video tutorial from the Drunken Woodworker. Don't have any woodworking tools? Feeling lazy? Don't worry, you can also buy these fabulous wooden pencil holders direct from the Drunken Woodworker himself through his Etsy shop by clicking here. 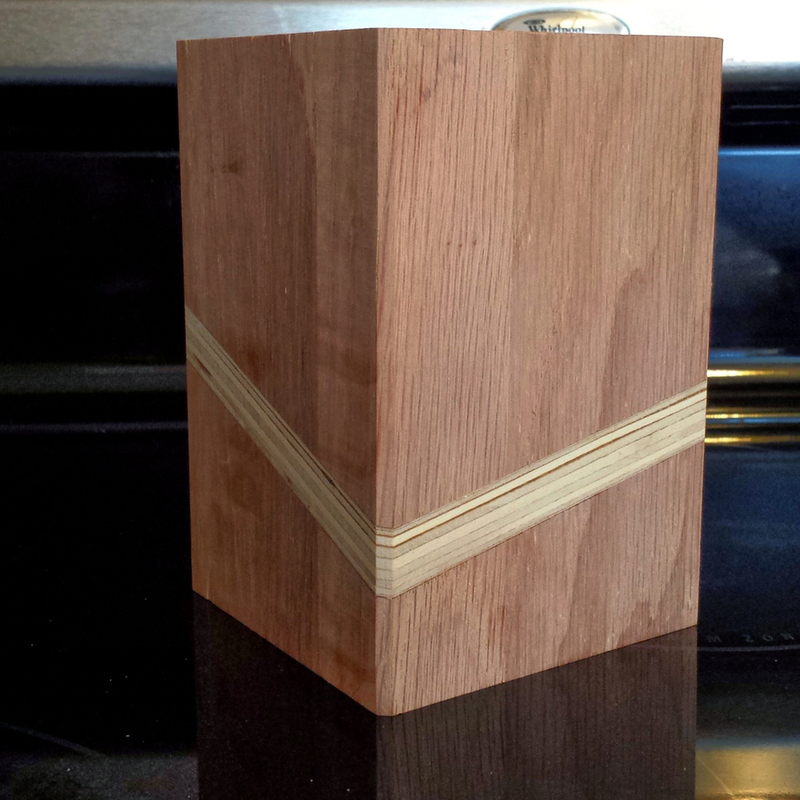 My pencil holder was made using a scraps of plywood and oak flooring from the new steps in my parent's house. Great use of materials, eh? I'm not going to write a tutorial, but you can click through the slideshow below to see glimpses of the construction process. While the other member of Team Necessary was building a pencil holder, I spent a day learning how to weave a potato basket. Thanks Craft Camp! Potato basket handwoven by Kristen Necessary, 2014. The ladies at Craft Camp are really wonderful. I've visited a few arts organizations in the area now and they are easily one of my favorite groups. Gathering together every month for the simple joy of learning a new skill is so refreshing. After being both a student and instructor for Craft Camp, my favorite part of both experiences is that while we start each workshop wide-eyed and overwhelmed, we leave empowered with new knowledge, skills, and confidence. It's a great feeling. Have you learned any new skills lately? Do you need to find time for a Maker Break?